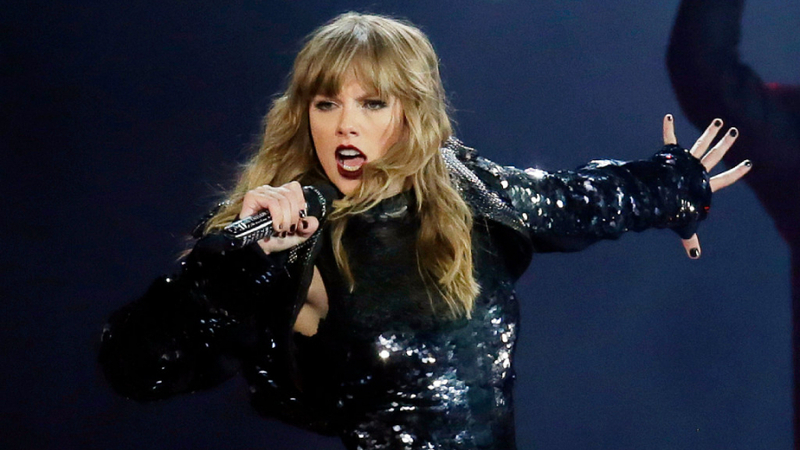 On New Year’s Eve, Netflix released a concert movie of Taylor Swift’s Reputation Stadium Tour. Now why did it take me so long to watch it? Firstly, I have this odd relationship with T-swift’s songs. For some reason I only listen to her music in the fall. It’s been like that since I was in middle school. But throughout the year I don’t pay much attention to Taylor or her music. With that being said I wasn’t a huge fan of her latest album, Reputation. The songs didn’t catch my attention (same for the Red album). Although, The 1989 album is one of my favs. Anyway I was skeptical about this movie, again because I’m not a huge fan of the Reputation songs. One of my friends (who doesn’t like Taylor at all) watched it and she admitted it was really good. So I went ahead and watched it today. Finally. 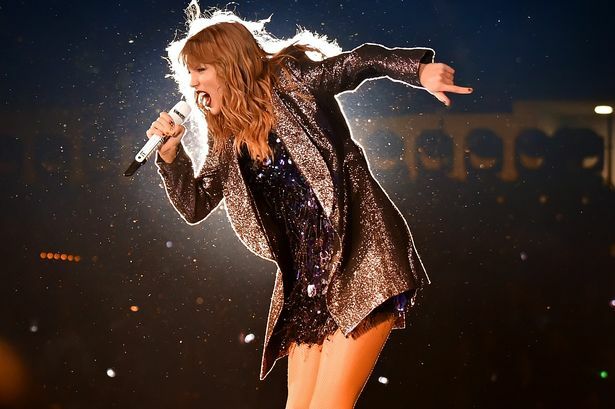 No doubt Taylor has a powerful stage presence and throughout the years she has been able to put on the craziest shows. From the opening song to the last song I was constantly entertained and curious to see what was next. But one of the things that stood out to me were the various costumes worn by, not only Taylor, but her backup dancers and singers. The dark-slytherin like theme was prominent throughout the show. Except for the one rainbow colored dress she wore for “Shake it Off”, but that’s an exception. Even though I’m not a huge fan of her new songs, I was still bobbing my head and enjoying it. It was a treat to hear some of her classic, old school songs. The mashup of “Style”, “Love Story”, and “You Belong With Me”, was perfectly done. Another mashup of “Bad Blood” and “Should’ve Said No” got me jamming out. The two powerful songs blended so perfectly I’m glad that mashup exists. Taylor surprises everyone when she has a giant snake appear in the middle of the stage. Then later on she’s on a floating platform with a snake’s skeleton to keep on with the theme. Overall the entire concert was a joy to watch. Although I was a little let down when the closing song was “Delicate”. I was hoping for an encore of “Shake it Off” or “Reputation”. But regardless, it was nicely done. 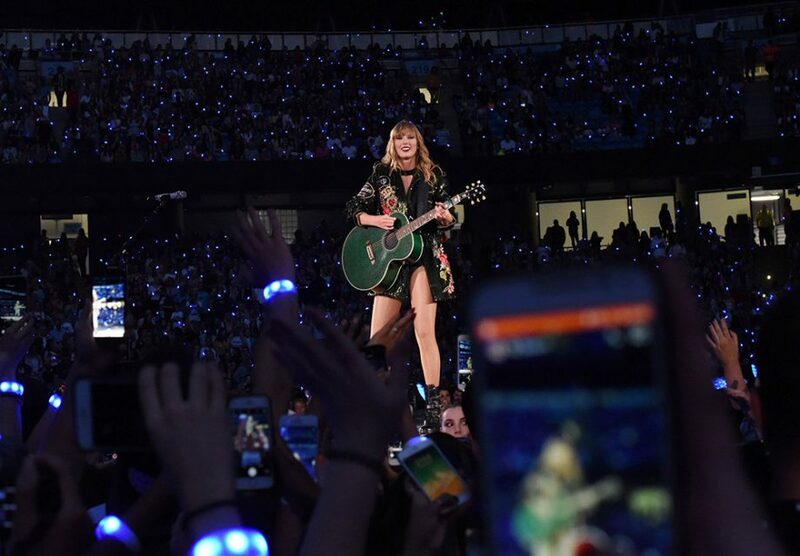 I look forward to seeing more of Taylor’s incredible concert performances in the future. If you haven’t yet, I recommend you check out Taylor’s Reputation Stadium Tour movie on Netflix. *If it’s not obvious, these pictures on Taylor’s tour aren’t mine.